I love fall. It’s always so welcome after the heat of summer. The leaves falling, the brisk cooler mornings, mums and pumpkins. I love it all. So while it’s still hot outside, I often turn my mind to making fall crafts. 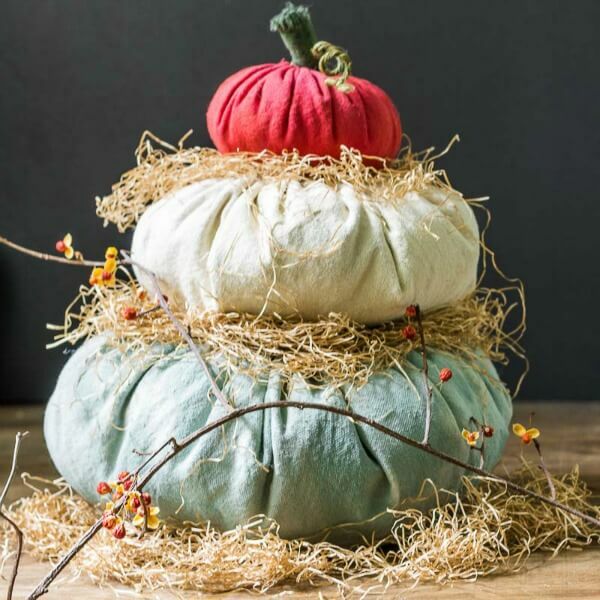 Wouldn’t this be fun to make and then use it in a fall vignette? Love this! 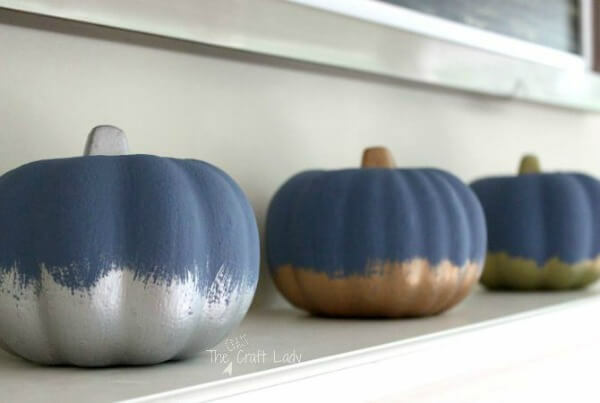 What a fun way to paint pumpkins. 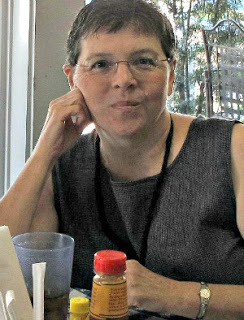 And so different! 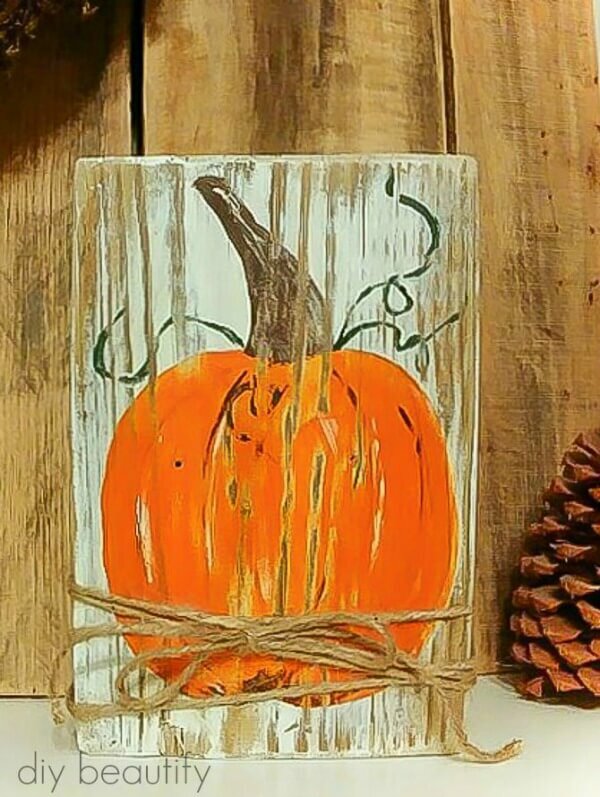 Maybe try your hand at painting a simple pumpkin? If you like monograms, this leaf project would be a nice addition to your fall decor. These are all great, easy ideas but I just love that pumpkin terrarium! Cute, cute, cute. These are all great. Love all these ideas Brenda. I love the wood hello fall sign. 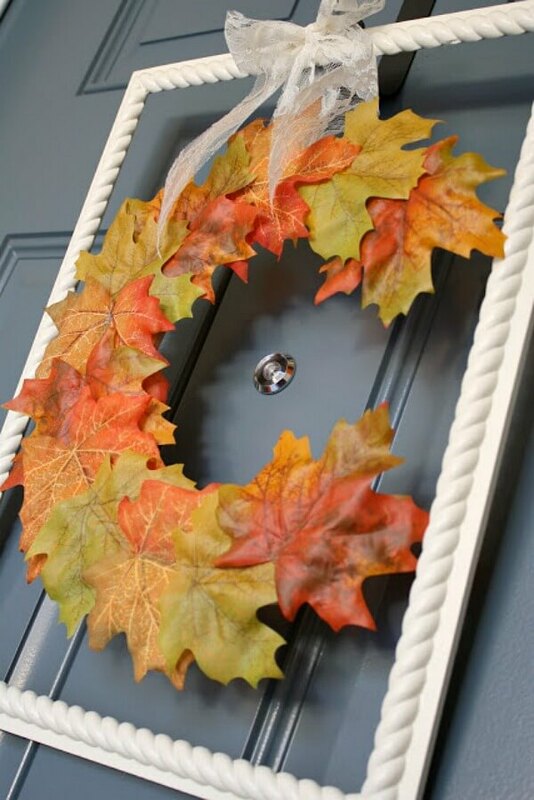 I am thinking of doing something like that for my front door instead of a traditional wreath. Thanks for all the inspiration. Lots of pretty fall inspiration, Brenda! Love, love, LOVE the pumpkin terrarium! When you think you've seen it all, something like a PUMPKIN TERRARIUM comes along! I am starting on mine right away! !